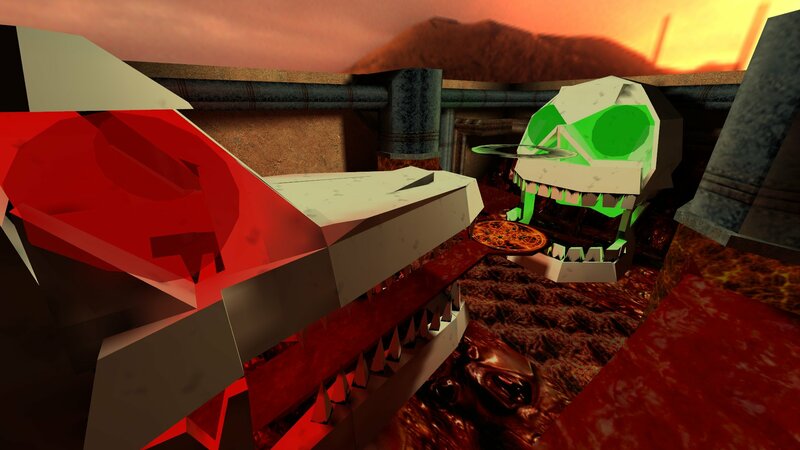 Fredz has now released a beta of his new Bagman Map Team Doom3. 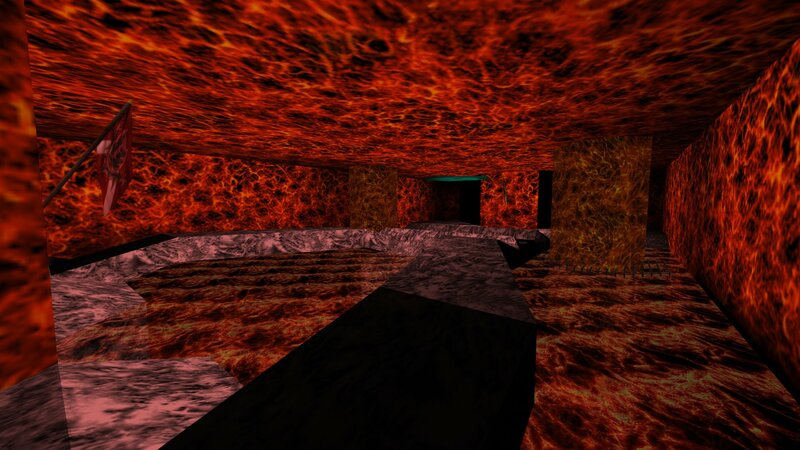 The map is a medium to large Bagman map based on Doom3. The bases are fairly straight forward and the Team's cash bags are inside cages. There are basically two routes between bases, upper and lower passages. The lower route is basically a lava room where you might see a ghost or two and the upper route is full of blood and giant skeletons. The money drop is in the middle of the upper route. There are weapon caches in the bases, of course, and you can get into the air conditioning ducts to snipe and to get the HMG cooling mods. You can download Team Doom3 b7 from here.